Donald Trump, who inherited much of his wealth from his father, has never had much of a problem with nepotism. Two of his sons run the family business and his daughter and son-in-law work in the White House. He clearly prefers to be surrounded by Trumps, and recent reports from the New York Times and CNN demonstrate just how far he’ll go to make sure he is. 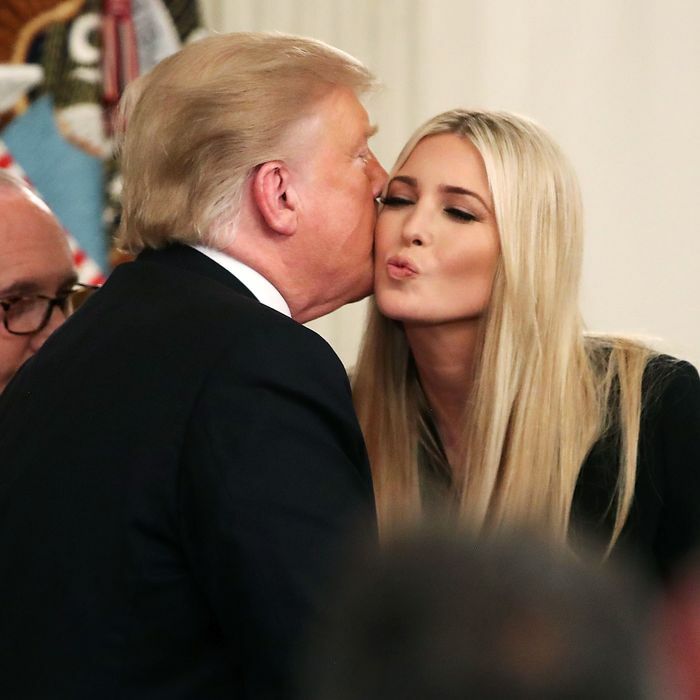 According to those reports, Trump pushed for security clearances to be granted to Ivanka Trump and Jared Kushner against the wishes of intelligence officials and his own White House staff. Trump has denied intervening in the security clearance process and the White House is now refusing to comply with the House’s investigation into the issue. Here’s what happened and why it matters. Why do Jared and Ivanka need security clearance? As the White House’s resident renaissance man, Kushner has a huge portfolio of responsibilities, including bringing peace to the Middle East and solving the opioid crisis. Kushner got by with an interim top-secret clearance until February 2018, when then-White House Chief of Staff John Kelly conducted a review of clearances in the wake of the scandal surrounding Rob Porter. Kushner, and everyone else with the interim clearance, was bumped down to as simple secret-level clearance. Why weren’t the clearances initially granted? The normal process for granting a security clearance involves the White House’s personnel security office making a determination following an FBI background check. The Times reports that “personnel division officials were divided about whether to grant” Kushner top access. But Kelly and former White House counsel Donald McGahn were aligned. They believed Kushner should not get clearance, in part because of lingering concerns from the FBI and the CIA. The concerns involved Kushner’s family real estate business and its ties to foreign governments, along with his repeated misstatements to the FBI about foreign contacts. How scandalous is Trump’s alleged intervention on their behalf? While it’s legal for the president to intervene in security clearance issues, it’s “highly unusual,” according to the Times. And doing it on behalf of his daughter and son-in-law certainly makes it look worse. What’s the White House saying? They’re denying everything, of course. Trump told the Times he played no role in Kushner getting clearance and Ivanka has said her father stayed out of the process. “The president had no involvement pertaining to my clearance or my husband’s clearance, zero,” she told ABC News. In the aftermath of the reports refuting that claim, the White House dug its heels in. On Tuesday, White House Counsel Pat Cipollone said the Trump administration would not comply with House Oversight Committee’s request for documents pertaining to Kushner’s security clearance. “We will not concede the Executive’s constitutional prerogatives or allow the Committee to jeopardize the individual privacy rights of current and former Executive Branch employees,” Cipollone wrote to the committee. Cummings has threatened to subpoena the White House for the information he’s after. There’s also a looming legislative response. The J.A.R.E.D. Security Clearance Act of 2019 would require congressional notification if a member of the president’s family is granted a security clearance against the wishes of intelligence officials.